Dr. J. L. Granatstein once remarked that he’s been obsessed with history since the day he learned to read. We can only assume that on the very next day, he became obsessed with writing about history. To date, he has written more than 60 books! And the books tell only part of the story. Equally impressive are his contributions to academic journals and the popular press; his work as a broadcast commentator and public speaker; and his decades of lecturing, teaching and mentoring as a history professor at Canadian universities. 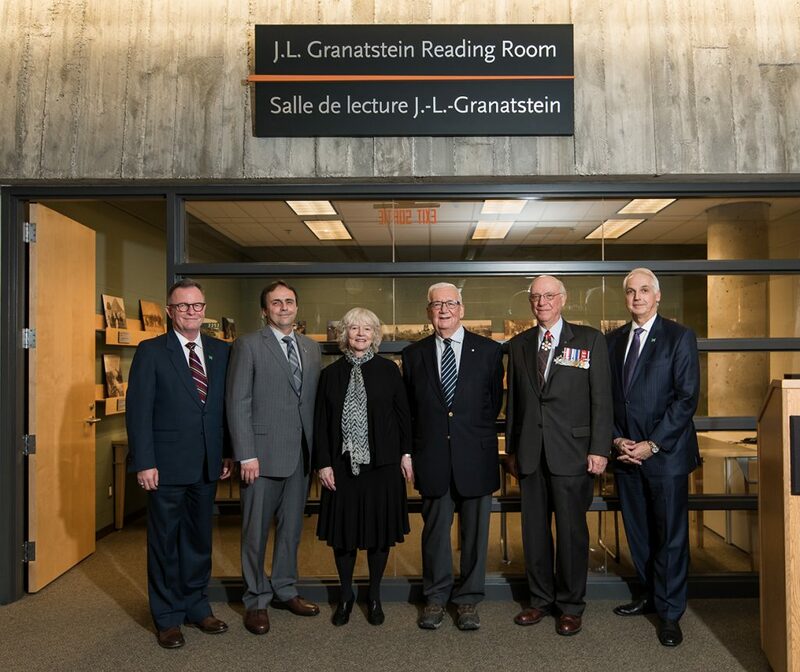 On November 21, 2016, the Museum honoured Dr. Granatstein’s long commitment to military history in Canada — and the Museum specifically — by dedicating the central public space of the Museum’s Military History Research Centre as the J. L. Granatstein Reading Room. In his 1998 bestselling book, Who Killed Canadian History?, Dr. Granatstein lamented the Canadian War Museum’s status as “the orphan child of the Canadian national museum system.” At that time, the Museum’s public galleries occupied an old archives building while the collections languished in a former streetcar barn. Soon after the book’s release, the federal government announced its intention to build a new war museum. Dr. Granatstein was hired as the Museum’s director, and he worked tirelessly to promote the project. Among other roles, he has served on the Museum’s Board of Trustees, in addition to curating numerous exhibitions. Most importantly, he has engaged Canadians in a lively and ongoing discussion about their history. Dr. Granatstein is among a handful of people responsible for the contemporary presence of the Canadian War Museum in Ottawa. 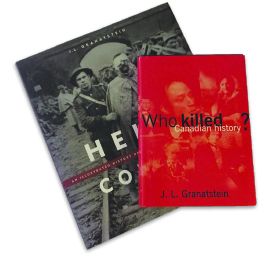 As an access point for scholarship and public research, the J. L. Granatstein Reading Room ensures Canadians will recall Dr. Granatstein’s contributions as they continue their conversation with history. The Museum gratefully acknowledges contributions from over 50 donors in support of the naming campaign, including The Caldwell Foundation, Donner Canadian Foundation, Gen (Ret’d) Paul D. Manson, Dr. Linda Grayson, Norman Hillmer and Susan Whitney, Dr. Dean F. Oliver, Mark O’Neill, H. Graham Rawlinson and Catherine E. Salo, and Mr. and Mrs. William P. Wilder.